When it comes to the pampas grass trend, interior designer Tyler Wisler says it's becoming more popular but still slightly under the radar. 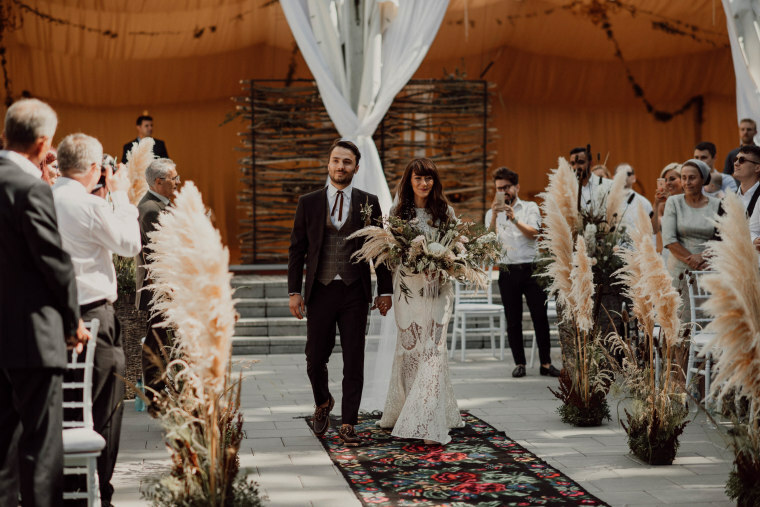 When planted outside, pampas grass can get up to 10-feet tall, but people are using it indoors as a pretty decoration in everything from living rooms to bathrooms. It also comes in an array of colors. “The neutral can work in almost any environment, and you can make it go boho, glam, industrial or rustic,” he said. But there are also fun colors like pink and purple that will make a bold statement. “It’s the perfect way to interject just a little bit of color into a neutral room,” Wisler said, adding that it’s like having fresh flowers all the time, but they won’t dry out and you won’t have to replace them. If you have some already growing in your yard, you can cut the stalk, but there’s a whole process involved with getting it ready to use indoors. First, be careful, since the plant has sharp edges like rose thorns, warns Wisler. Next, hang them upside down with string or dental floss and dry them out for three weeks. When you’re ready to place in a vase, turn them over and spray with matte clear varnish, a floral sealant or hairspray to help them last. In terms of decorating tips, Wisler says to keep it simple. “Stick to one color and put three stems or five stems in a vase,” he said. You can tie a piece of burlap ribbon around the base as an accent, but there’s no need for any more crafty bells and whistles. “It can stand on its own,” he explained. 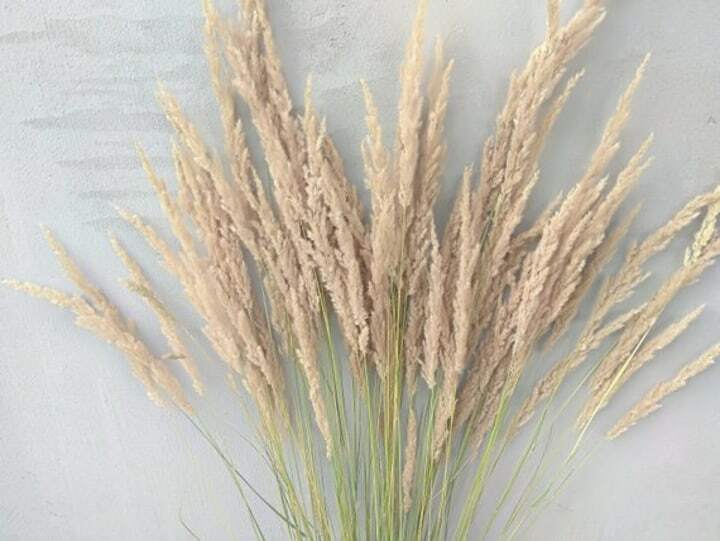 Wisler suggests putting the vase of pampas grass against a wall that has muted but pigmented color with a subtle warmth to it— something like a hue from Sherwin Williams’ Naturalist palate. “You could honestly place any of those colors with pampas and it would be beautiful,” he said. Benjamin Moore even has a neutral color named specifically after the plant. The accent will work in just about any room of the house. People use them in their living rooms, bathrooms and bedrooms. In fact, some are even using it as wedding decor. And that's how you really know it's a trend.